A roller that does it all. 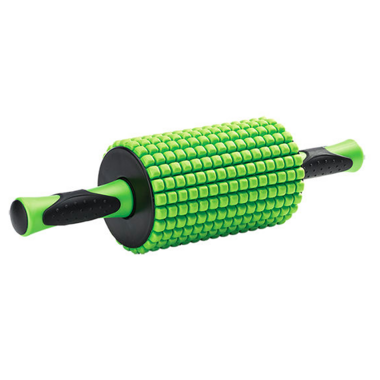 A combination massage stick, massage roller, foam roller and ab roller, this is all you need for a full core workout and post-exercise massage. Both smooth and textured surfaces help reach deep into muscles to target tension. Lightweight and durable, the Total Body Roller easily slips into a suitcase or gym bag for a workout on the go. The Total Body Roller supports up to 250lb/113kg. •Using a diluted mixture of water and tea tree oil, wipe clean. •For more persistent dirt, use a mixture of soap and water. •Ensure product is dry before using. •Keep away from heat sources.